Swami Ramanuja was upset with his approach that obstructed the services to Lordships . Swami wished that Nambi must be relocated in any other service in the temple for smooth functioning . This will help in continuing the service to LORD and the smooth running of the affairs of the temple was ensured. However , Lord Ranganathar had some other plans for Nambi . He appeared in Swami Ramanuja’s dream and commanded , that the temple priest Periya Koil Nambi was serving him past several years and is dependent on him . Hence , he must be taken care off in all reverence . Swami Ramanuja shared his dream with his close disciple Kuresan and concluded that the Lord did not want him to dismiss Periya Koil Nambhi from the present service , instead Lord wanted Nambi to be engaged in some other kainkaryam close to him . 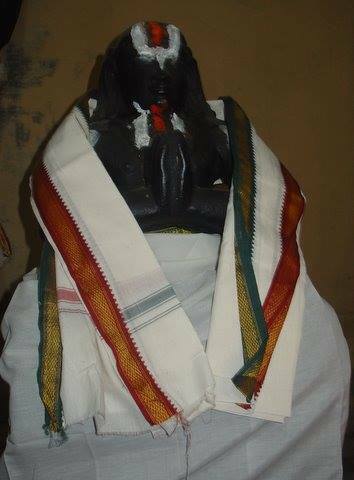 Kuresan responded to Acharyars request and felt that the Lord wanted Swamy Ramanuja to correct the flaws of Nambi and instead engage him in Acharyar kaimkaryams . Swamy Raamanuja suggested that Kuresan himself should correct Nambi’s destructive ways and bring him back to the fold of Bhagavathas. Kuresan accepted the suggestion of his Acharyan as commanded and engaged the scholarly Periya Koil Nambi in discussions daily inside the temple and slowly changed his attitude in pure devotional service . One day , Nambi’s mother passed away and he was performing her Charama kaimkaryam in seclusion. This happened due to his arrogant behavior. Many vaishnavas avoided to officiate the ceremonies which he had invited . This news reached Swamy Ramanuja . Swamy realized the desperate state of Nambi and suggested that Kuresan must take part in the ceremony and bring some change in him . In this important shraddha ceremony which is performed on the eleventh day, the brahmin is considered as pretatma and fed sumptously. 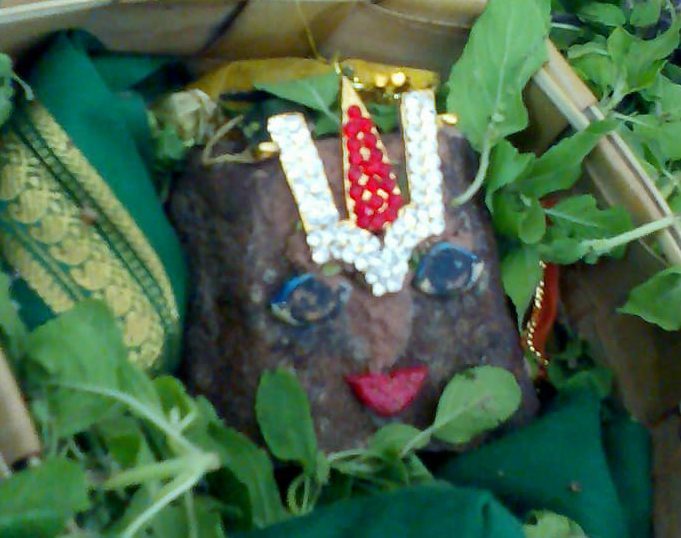 To ensure that the pretatma leaves without any unfulfilled desire, it is customary to ask whether he is satisfied. The kartha would be obliged to fulfill his desire so that the soul progresses without hindrance. “ThrupthAsma :” ( meaning he was satisfied) . Nambi was deeply disturbed and hence pleaded …..
What needs to be done to satisfy you swamin ? Swamin …. Kindly hand over the temple keys for taking up kainkaryam … and Periakovil Nambi had to oblige. Kooratazwan handed over the keys to Swamy Ramanujar. Acharyar advised Kuresa and Mudaliandan to make the necessary corrections ensuring that all the festivals and upachaaras are conducted with pomp and show . 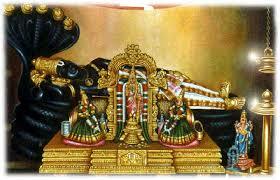 Lord Ranganatha was very pleased with the turn of events. . Looking at the change in behaviour of Nambi , Kuresan requested Nambi to accompany him to Ashram and both of them went to Swamy Raamanuja’s . Nambi surrendered to the lotus feet of Swamy Ramanuja with repentance . 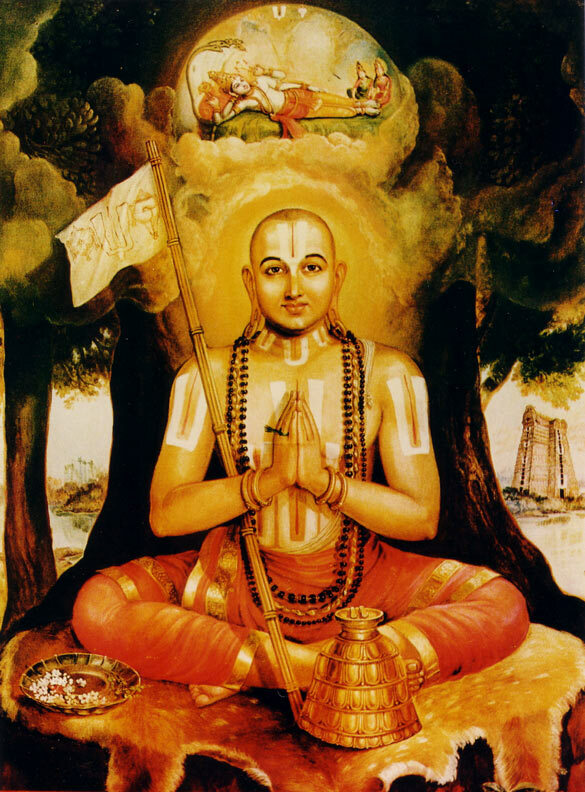 Acharya Ramanuja was overjoyed at the transformation in Nambi and recognized that extraordinary scholarship . He recommended that Kuresan become the Acharyan to Nambi instead of him. 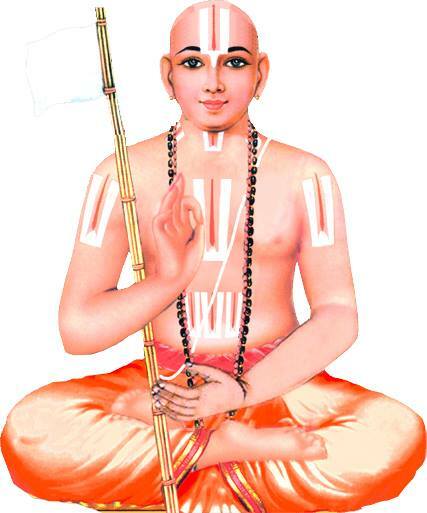 The changed personality and his sweetness of speech earned him the name of “AmudhanAr” by Swamy Ramanuja himself . 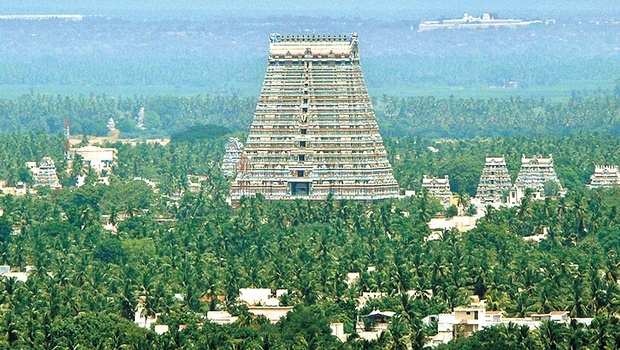 From then on, Periya Koil Nambi came to be known as ” Thiruvarangatthu AmudhanAr “. He was also addressed with reverence as “PiLLai AmudhanAr”. AmudhanAr coming very close to Swamy Ramanuja and his Acharyar Sri Kooresar was moved by the dayaa of Swamy RaamAnuja and with utmost devotion composed the 108 paasurams of Sri Raamanuja Noorrandhathi and recited in front of Lord NamperumaL. Lord Ranganatha commanded Swamy RamAnuja not to accompany Him on His Raaja Veedhis procession . He also advised not to play any Naadaswaram , and stopped all the musical instruments .He commanded the Sri Vaishnavas to recite Raamanuja Noorrandhathi. From then on, Noorrandhathi is recited after Iyarppaa Prabhandam at Perumal and Thayar sannidhis as per the command of Lord NamperumAL. Acharya Ramanuja obeyed the wish of Lord RanganAthA and included the recital of NooRRandhAthi at the end of Iyarppaa recitation, just as KaNNinuNN SiRutthAmpu is recited at the end of Mudal Aayiram. Thus AmudhanAr is to AchArya RaamAnujA just as Madhura Kavi is to Swamy NammAzhwAr. The two prabhandhams by Madhura kavi and Thiruvarangatthu AmudhanAr are like Naayaka rathnams adorning the gem necklace. In Sri In VaishNava sampradhAyam, AchAryan is recognized as the avathAra visesham of Sriman NaarAyaNan.Therefore, one worships one’s AchAryan in form of Perumal . 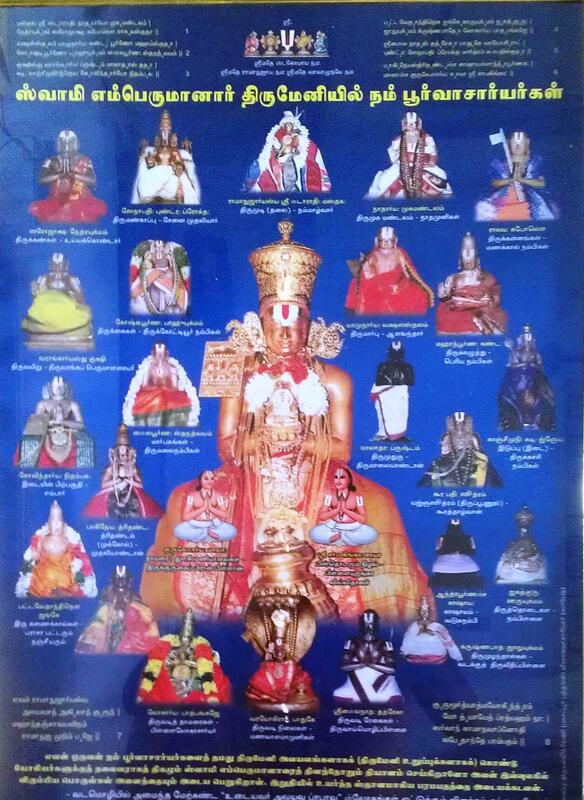 In every one of his NooRRandhAthi paasurams, AmudhanAr placed the ThirunAmAm of Swamy RaamAnusar for our benefit. (meaning We have nothing missing in our lives , now that we have the prapanna Gavathree — the 108 pasurams of RaamAnuja nooRRandhAthi celebrating our AchAryan’s sacred name in andhAthi, blessed by puNya moorthi , ThiruvarangatthamudanAr . Meditating on the deep meanings of this Prabhandham , we do not have any more wants in this world . We do not lack any thing. This prabhandham is otherwise called as Prapanna Gayathri, i.e it is the gayathri manthra to all Prapannaas the ones who have surrendered . 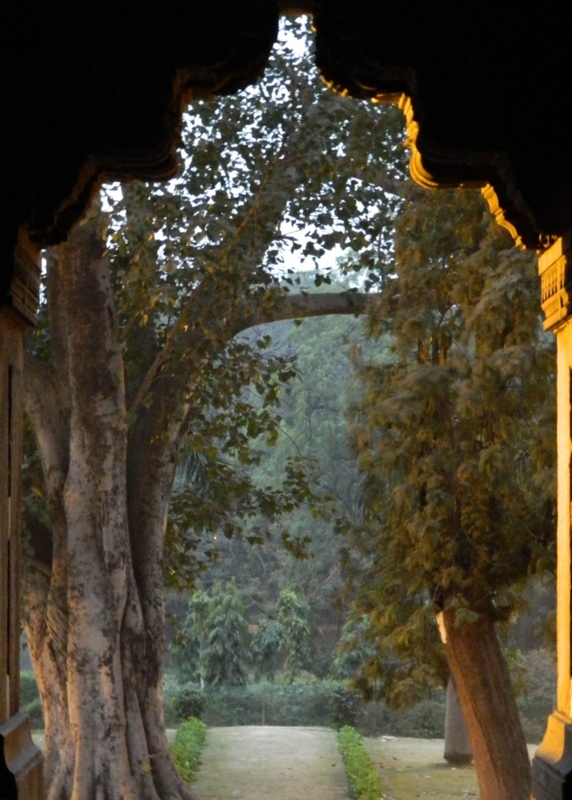 (Prapanna is a sanskrit word that means complete surrender/dedication.) to LORD lotus feet..
A prapanna is one who has totally surrendered at the lotus feet of Lord Sriman Narayana. Our most revered Acharyar Swamy Pillai Lokacharya lists the qualities of a prapanna in his works . A Prapanna must not wish that harm should befall the one who has caused him anguish. He must feel sorry for the tormentor, for even if he forgives the tormentor, the Lord will not forgive one who has tormented His devotee. 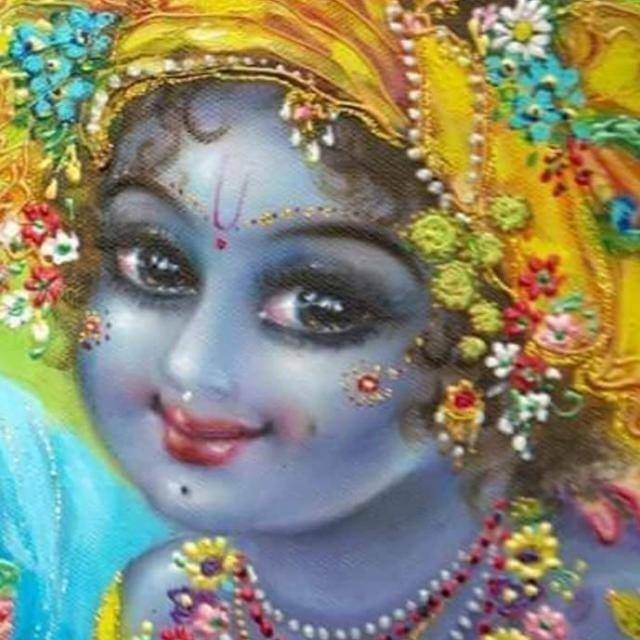 The prapanna must laugh at the one who hurts him, because the tormentor has not realised that no hindrance can be caused to the prapanna’s attainment of moksha. The prapanna also laughs at such people, because of their ignorance. They think that a prapanna cares about worldly problems, when actually such things do not bother him. Pillai Lokacharya further says that we should actually be grateful to those who harm our bodies and our material possessions. A prapanna thinks of the body and of material wealth as enemies. So if a person harms any of these, he is actually harming the prapanna’s enemies! The prapanna is also grateful to those who harm him in this world, because they make him aware of his faults. A Prapanna woul be feeling Look … “At a time when I have forgotten my flaws, here is someone who has reminded me of them. So I must be grateful to him ” . .
Naalooraan was the one, at whose instigation, a Chola king blinded Kooratazhvan. But Kooratazhvan prayed to Lord Varadaraja that Naalooran too should be granted moksha. Kooratazhvan is an example of one who wanted someone who had harmed him also to be blessed. Such is the attitude of a prapanna. His AchArya AzhwAn said these three pASuras would be chanted as SATTru pASuras (whereas in other prabandhas only the last two are SATTru pASuras). This practice is still followed. Elders advise to meditate on Swamy Ramanujas thirumeni mentally as all the Poorvacharyas are his personification .The comparisions is made as follows .All the holy thirumeni is equated with revered Acharyas ….. Videos : Vijay TV, Social media clips and Thanks to the devotees who uploaded . All glories to Spiritual masters . Qualities of a PRAPANNA enough to reach Vairagyam, Gnanam & Bhakti that throws one into the ocean of Sattvigam – Enough to attain Liberation! No amount of Gratitude can sustain to such a Soul as Varadan for permeating these Diamond Gems.May Acharya Ramanuja grant unto him many more years to wake up the beaten souls….